Excellent high impact protection mixed with style. Pyramex safety glasses were specifically designed to meet the needs of linemen or those exposed to electric arc while working. Pyramex Escape Safety Glasses are full dielectric and contain no metal parts making them non-conductive. 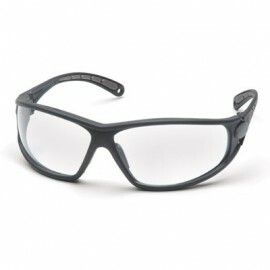 These glasses come with high impact polycarbonate lenses that meet ANSI high impact requirements and are suitable for work environments requiring a high level of eye protection. Looking for 'all day' comfort? Look no further, because Escape safety glasses have rubber temples and nose piece that sit comfortably on your face for extended wear. 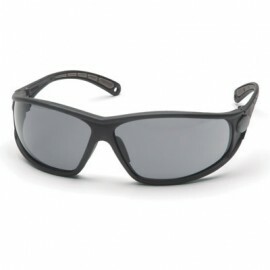 The frame on these eye glasses are vented to help reduce fogging in humid work environments. 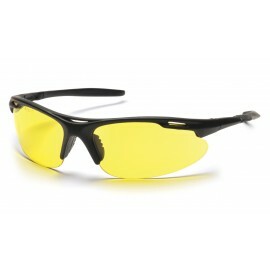 Perfect for industries where ANSI certified eye protection is required.